Path to Future Endeavors – The Big Sky Centre for Learning and Being Astonished Inc.
What is PATH to future Endeavours? Astonished! is currently determining a way to learn more about Core Members strengths, dreams, and, needs as they relate to vocation. This will enable us to determine our role in supporting the vocational dreams of our Core Members. In the meantime under the ‘Path to Future Endeavours’ service area we are getting our feet/wheels wet by supporting the dreams of a few of the Astonished! Core Members…. Astonished! is partnering with public and private organizations to support the employment dream of Core Member Ryan Ross. 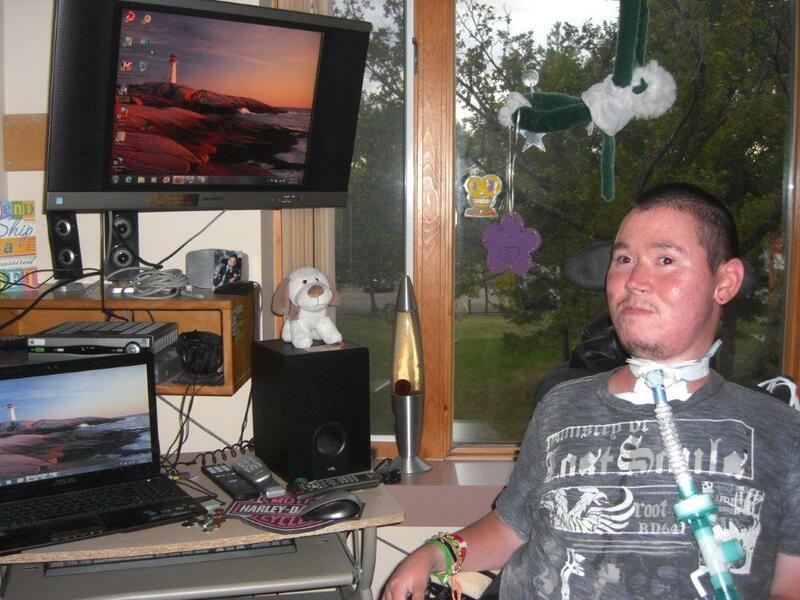 Ryan lives in Regina and is a resident at Wascana Rehabilitation Centre. He is extremely adept at Facebook, and holds the position of Astonished! Facebook Manager. With this position, Ryan is responsible for the content that appears on the Astonished! Facebook page. Astonished! also contracts with the Astonished! Leadership Team, a five-member team made up of young adults with and without disAbilities, to plan monthly events for the Astonished Social Club. Kelsey Culbert, who is looking for experience to add to her growing resume, volunteers on the Astonished! Program Advisory Committee. Here, Kelsey is learning skills related to leadership, strategic planning, and promotion. Rebekah Lindenbach, who enjoys helping others and is interested in leadership volunteered with the Summer Literacy Program in 2014 and will be resuming her role this coming summer.